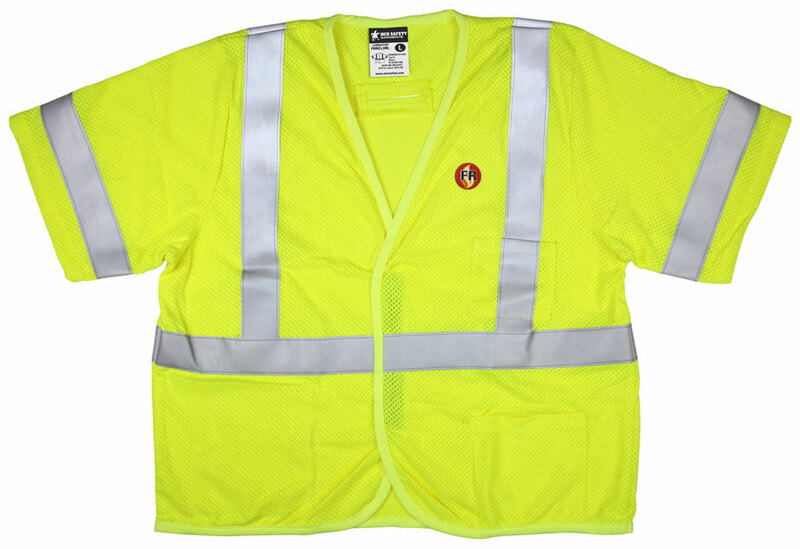 MCR Safety has expanded our high visibility line to include a flame resistant safety vest made with GlenGuard® mesh lime modacrylic/aramid blended fabric with FR reflective stripes. The FRMCL3L vest features three pockets, D-Ring access slot on the back, durable gray binding and a hook and loop front closure. The ANSI Class 3 vest also meets ASTM F1506 and conforms to NFPA 70E- HRC1 specifications with an Arc Rating of 5.1 cal/cm².